Please be my guest at Arapahoe Park Racetrack for a fun filled day of live action racing, while helping to increase awareness about the need for placing retired racehorses into loving, forever homes. 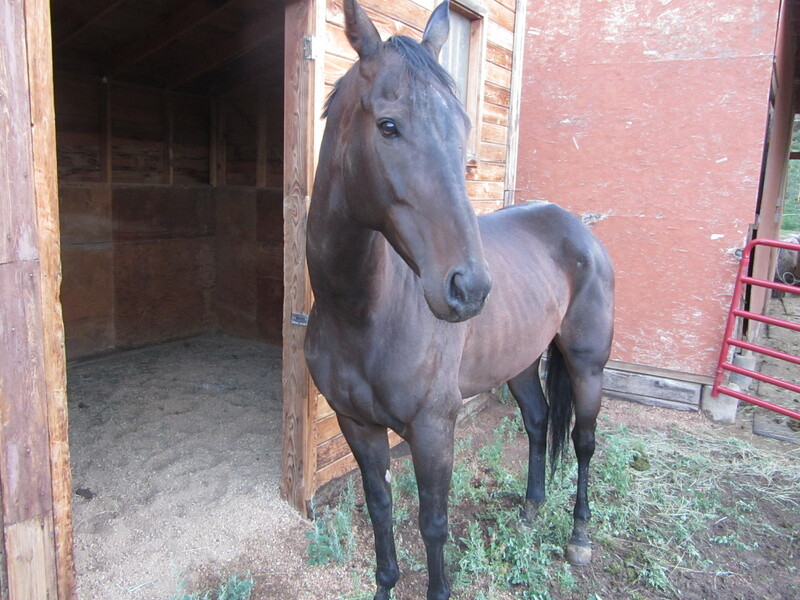 Learn more about Prince of Flame, an 8 year old thoroughbred gelding and the newest addition to the ResQranch. The Prince of Flame Fund has been established to raise public awareness regarding the plight of the retired racehorse. Through chronicling the transition of this one thoroughbred racehorse from pristine athlete to trustworthy friend, more people will become aware of the need for forever homes for these amazing animals. The hope is to help save more retired racehorses from suffering an unlikely end, such as transport to a slaughterhouse, and demonstrate what versatile and reliable companions they can become. There is no charge to attend this special event; however, non-tax deductible donations (we are a charity, not a non-profit) are appreciated to help give Prince a second chance for hope and a new lease on life. If you are unsure if you can attend and forget to RSVP, no problem, just be prepared to pay the $3 admission, and then join us upstairs in the Director’s Lounge at any time! Join us for a fun filled day at Arapahoe Park Racetrack, located at 26000 E. Quincy Ave., Aurora, Co 80016, located conveniently just east of E-470 and Quincy. Join us at any time in the afternoon. Post time starts at 1 pm, and the last race is scheduled for 5 pm. We will be in the Directors Lounge Upstairs. And, if you are unable to attend and would like to make a contribution for Prince of Flame, you can send your contributions to the Prince of Flame Fund, First Bank, 25617 Conifer Road, 80433. Thank you in advance for your support. Prince of Flame looking a little bewildered his first morning here at the ResQRanch. This entry was posted in Upcoming Events and tagged acupuncture and holistic veterinarian, animal behavior and health, Denver veterinarian, koi fish veterinarian, natural pet health care on July 28, 2012 by 19907849.